The Rev. 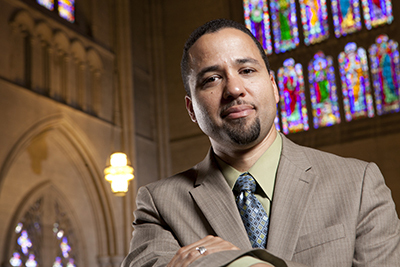 Dr. Luke A. Powery is the Dean of Duke University Chapel and Associate Professor of Homiletics at Duke Divinity School. A national leader in the theological study of the art of preaching (homiletics), Powery regularly delivers sermons at Duke Chapel as well as at churches throughout the United States and abroad. He is often a keynote speaker and lecturer at educational institutions, conferences, symposia, and retreats. You can watch or listen to our previous guests at the Willson-Addis Lecture media page. This lectureship recognizes the Willsons and their daughter, Oragene Willson Addis, and examines practical Christianity. The lecturer may be from any branch of the Judeo-Christian tradition.